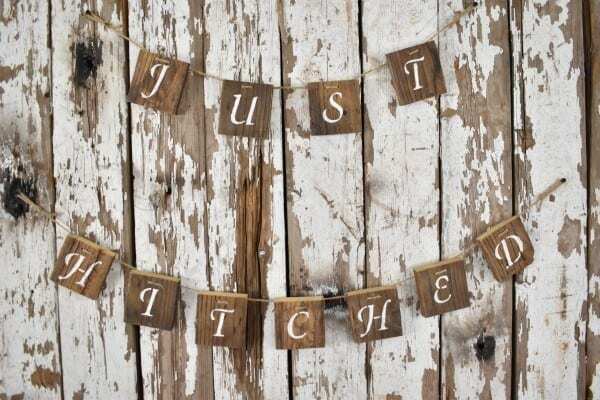 Don’t you just love this “Just Hitched” wedding banner? 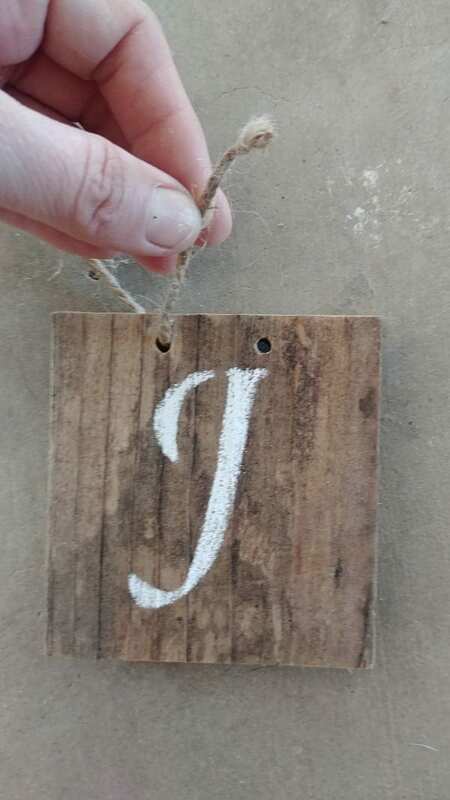 This rustic little banner came out so perfect for my wedding! I could have literally placed it anywhere at the reception, but ended up finding the perfect home for it on the back of our horse-drawn buggy. It looked adorable as we drove off. 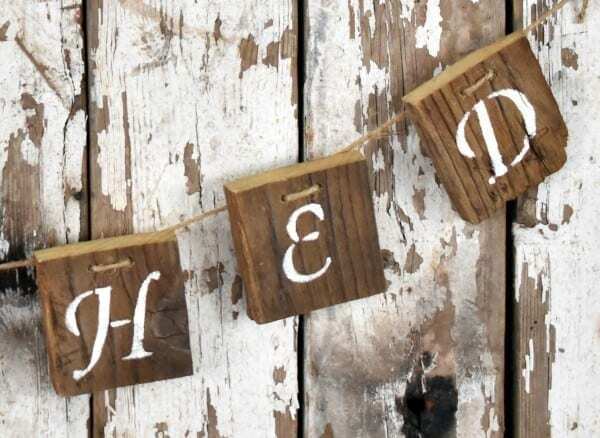 This banner would have also looked great behind or strung in front of the reception table, the wedding book sign-in table, at the entrance or exit gate, the cake table, or any number of places, I’m sure! 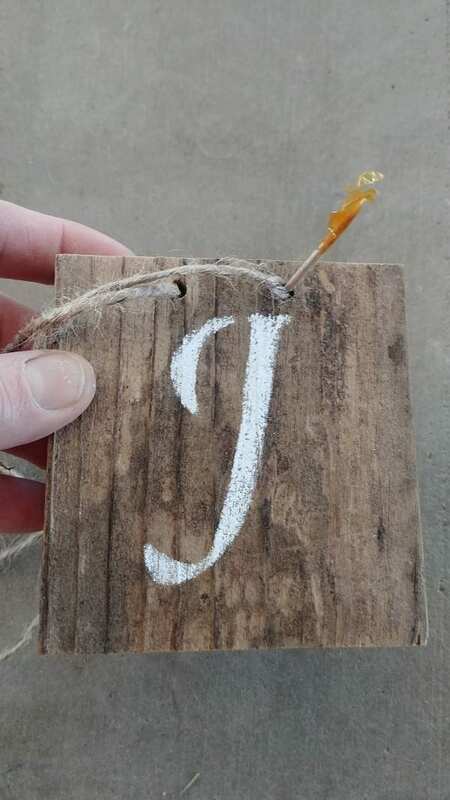 This wooden sign threaded on twine, would be the perfect touch anywhere at a wedding that needs a little hint of extra rustic charm. 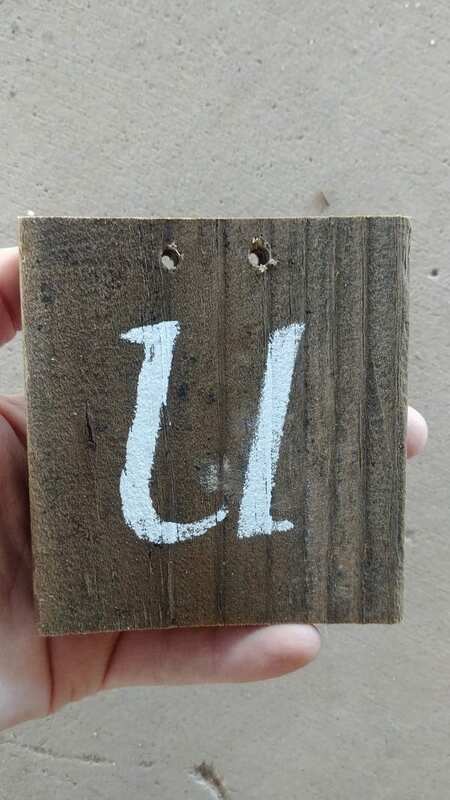 The best part was that it was quick to make. Believe it or not, I actually whipped it all together the day before my wedding! 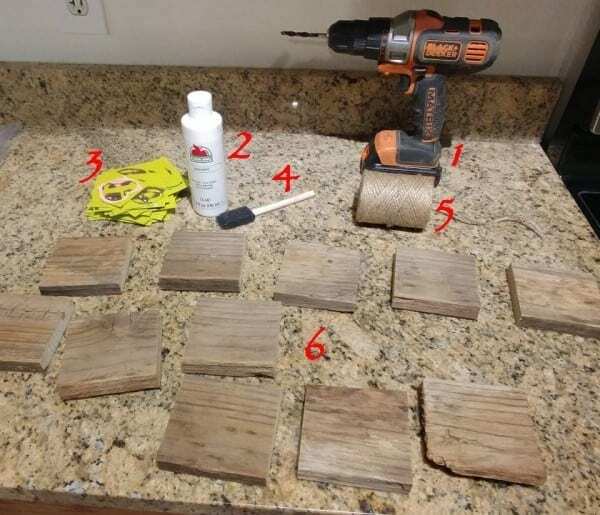 Old 1 x 4 pallet boards cut into squares (cut as many pieces as letters in your sign) You can also use new wood and make it look old with my Easy DIY Wood Stain. 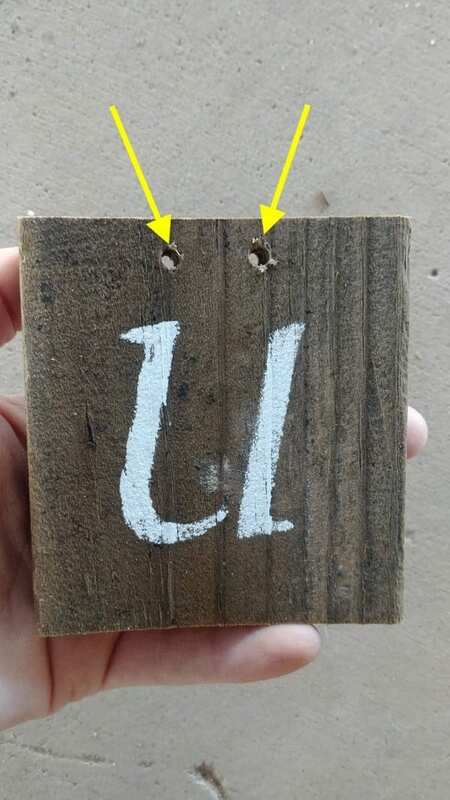 A toothpick comes in pretty handy to help poke the string through the holes. Finished! Time to find a place to hang it! I hope you love this adorable wedding banner as much as I do! It was the perfect addition and the perfect ending for my wedding ceremony! 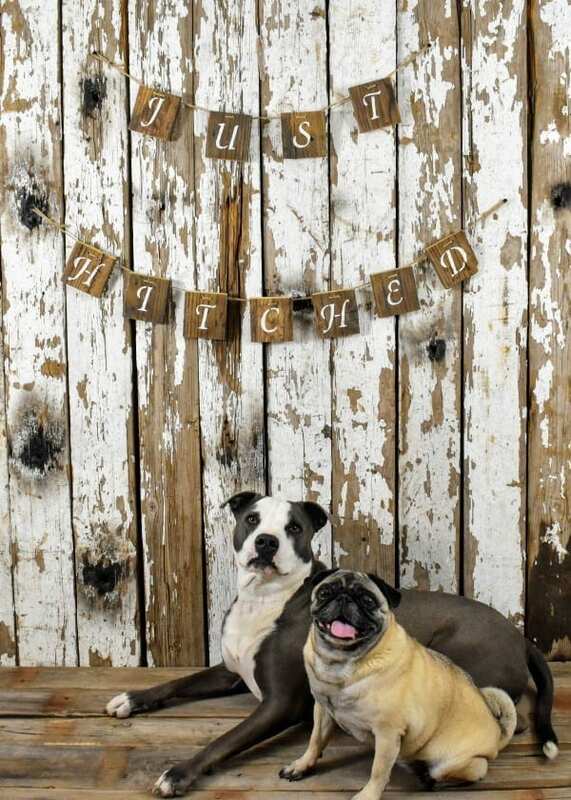 Be sure to check the DIY Just Hitched Pallet Wood Wedding Banner featured at the Link Parties below! How adorable! 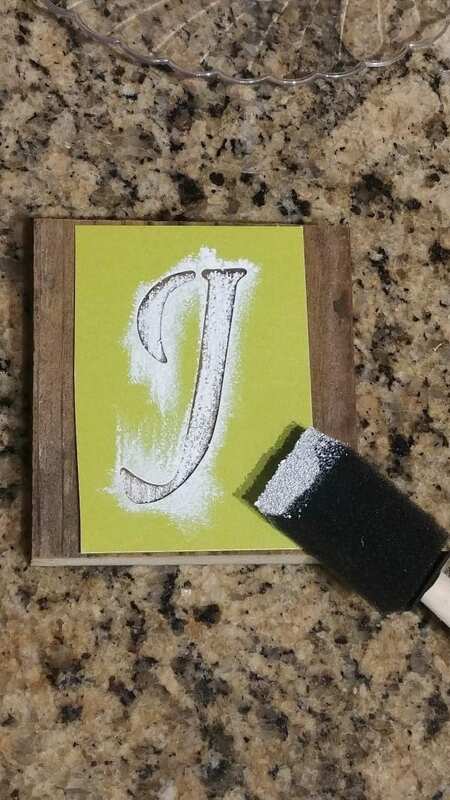 I want to make this for my wedding in October! 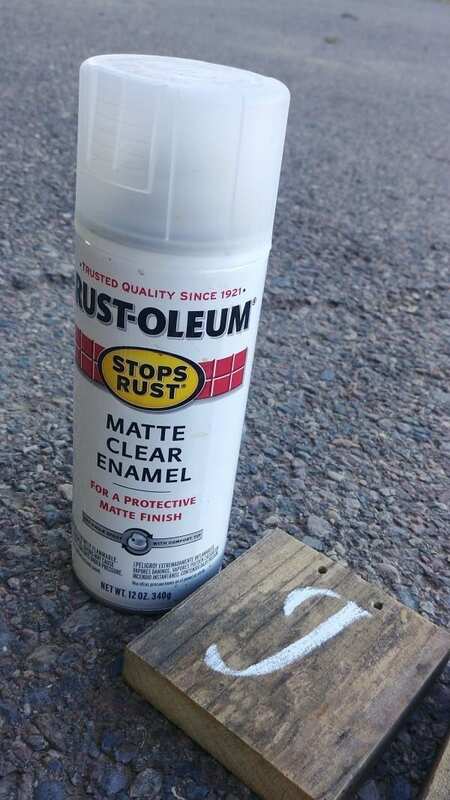 Thank you for the great idea! P.S. 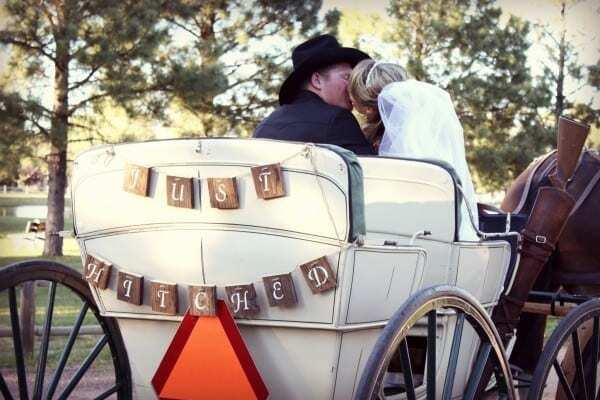 I love the carriage you had at your wedding! What an adorable picture! adorable! perfect on the carriage.